As a person who works for a living to provide for your family and pay the bills, a workplace injury can leave you searching for answers: How will I pay my medical bills? What if I am unable to return to work? How will I support my family? Under Georgia workers' compensation law, you can receive money and medical benefits for your work-related accident. At the Law Offices of Gary Bruce, we are the good guys who can ensure your workers' compensation claim is handled effectively. We proudly offer complimentary in-office and off-site case evaluations to discuss your work injury. In this case evaluation, you will discuss your case with an experienced workers' compensation lawyer. We will work to understand exactly how you were injured, the history of your relationship with your employer, and how we can best serve you. Schedule your free initial consultation today by completing the form on this page or calling 706-596-1446. We welcome clients from throughout Georgia, including Columbus, Fort Benning and other nearby areas. 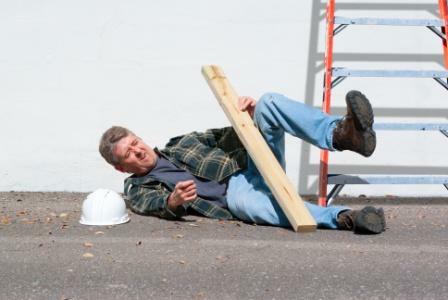 What Does Workers Compensation Cover When I Am Injured? Medical treatment: This may include surgery, medication or therapy. If your injury is designated as catastrophic, you may be entitled to receive medical care and weekly compensation checks for life. Temporary Total Disability (TTD): TTD benefits typically provide injured workers with two-thirds of their average weekly wages. In some cases, it is possible to receive TTD benefits even if you are able to return to the job for light work duty or your employer cannot or will not accept you back to work under the restrictions issued by your treating physician. Temporary Partial Disability (TPD): TPD benefits are paid when you return to work a reduced capacity or light-duty. If your pay earnings are reduced, you will be paid two-thirds of the difference between your average weekly wage and actual earnings. Permanent Partial Disability (PPD): If your work-related injury makes it permanently impossible for you to perform your job duties, you may be eligible for PPD benefits. PPD is based on a formula that includes your percentage of impairment, the part of the body that is impaired and your compensation rate. Ensure the workers' compensation doctors treat you fairly and provide all the necessary treatment. As an injured worker who is receiving benefits, you are entitled to a change of physician (panel switch) and an Independent Medical Examination (IME). Certain doctors and treatment facilities are well known to put their interests in front of your interests. We can direct you away from these doctors. In addition to proving that your injury qualifies for workers compensation benefits, you must establish that your injury occurred at your place of work. Our attorneys have the experience, skill and resources needed to build a compelling case on your behalf and pursue the justice you deserve. What Is the Process for Filing a Worker’s Compensation Claim in Georgia? Report your injuries to a supervisor: It is illegal for your supervisor to try to talk you out of reporting an injury that you suffered at work. If your supervisor claims your injury occurred outside of work, or tries to intimidate you into not reporting your injury, call us immediately. Request medical treatment: It is important to request medical treatment from your employer’s posted panel of physicians. Information should be posted in a noticeable area at your workplace. If you fail to choose a treatment from the posted panel of physicians, your employer may select your treating physician and jeopardize the outcome of your claim. Contact the Law Offices of Gary Bruce right away: By acting quickly, our attorneys will be able to we are able to initiate your claim with the state board of workers’ compensation and the insurance company. Can I Bring a Lawsuit Against My Employer If I Am Injured? Workers’ compensation tends to favor employers more than employees. If your workplace injury was caused by a co-worker or employer, you will only be able to receive workers’ compensation benefits. However, if you are hurt because of the negligence of a third party, you may be able to make a personal injury lawsuit against the third party while simultaneously pursuing a workers’ compensation claim. When Do I Need to File a Workers Compensation Claim in Georgia? Every case is different and you should consult with a lawyer about any question you have about your applicable statute of limitations. However, the best answer is as soon as possible. The injury should immediately be reported to your employer, and filing for benefits should be started as soon as they are needed. Under no circumstances should an injury be reported any later than a year because you then may lose your right to file a claim. Should I Hire a Local Lawyer? We believe that being local and having the ability to meet with our clients gives our clients an advantage. We also believe that knowledge of the local medical community can be a benefit to our clients. They are able to access information that helps in the successful prosecution of cases against workers compensation insurance companies and their representatives. If you have been hurt on the job and have questions, please contact the Law Offices of Gary Bruce today online or at 706-596-1446 to schedule a free consultation. We proudly help clients throughout Georgia, including workers in and around Columbus, Fort Benning and other communities.